Many smart shoppers see shop around before making a final purchasing decision. This way they are confident that they are getting the best product for them at the best price. Which is why when shopping for your next vehicle it is a smart idea to see what the competition has to offer. While comparing trim levels and features isn't as fun as going to a test drive it is just as important. 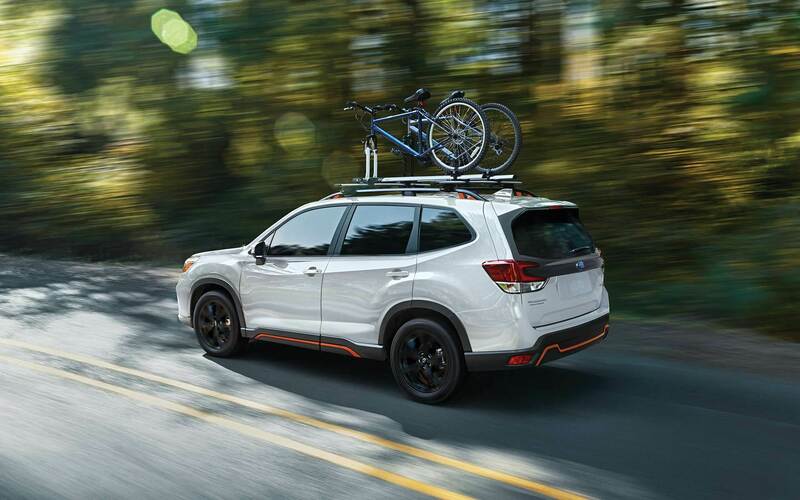 So to help our customers easily find the information they are looking for we have done the hard work for you and compared the Honda CR-V to the all-new 2019 Subaru Forester in all the ways that matter most. Then all you have to do is come down to Tucson Subaru and get behind the wheel to experience the 2019 Forester from the best seat in the house. The driver's seat. For a long time it was said that SUVs couldn't deliver spirited and powerful performance and also be good on gas. But that is quickly changing and just one way that the Subaru Forester out does the Honda CR-V. While the Honda CR-V has slightly more horsepower it is not as fuel efficient as the Forester, especially when equipped with all-wheel-drive. 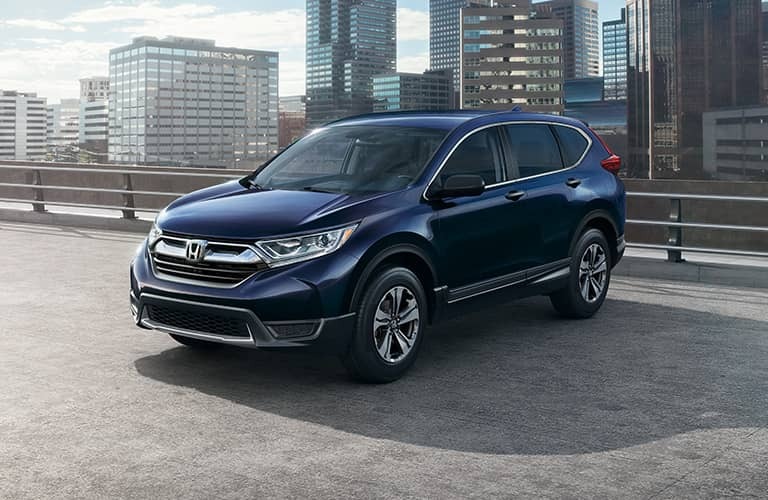 The Honda CR-V 2-wheel-drive models get 26 city and 32 highway mpg and all-wheel-drive CR-V models get 25 city and 31 highway with a 14-gallon fuel tank. The Subaru Forester comes standard with Symmetrical All-Wheel Drive and gets an impressive 26 city and 33 highway mpg. The Forester also has a 16-gallon fuel tank which means that you won't have to stop and fill up as often as you would in the Honda CR-V. The 2019 Subaru Forester is powered by an updated 2.5L four-cylinder BOXER engine that generates 182 horsepower and can tow up to 1,500 lbs. 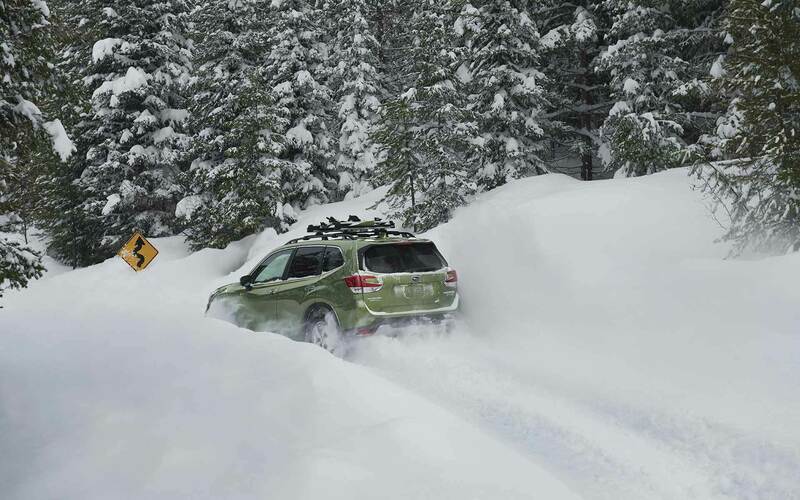 In addition to standard Symmetrical All-Wheel Drive the Forester is with equipped with Auto Stop-Start System, SI-DRIVE, and is available with X-Mode and Hill Descent Control for enhanced performance on and off-road. And when taking the road less traveled you will be glad that the Forester has 8.7 inches of ground clearance compared to the CR-V's 7.8 inches. The Honda CR-V also doesn't offer a comparable performance feature to X-Mode that works to reduce individual wheel spin on slippery surfaces. To get a CR-V equipped with a less capable all-wheel-drive system will also cost you an extra $1,400. One of the biggest deciding factor that persuades drivers to pick one SUV over the other is advanced safety features and once again the 2019 Subaru Forester outshines the Honda CR-V. The Honda CR-V offers many of the latest advanced safety features but they aren't available on every trim level. Causing drivers to buy a more expensive model. The 2019 Subaru Forester, however, comes standard with the highly awarded EyeSight Driver Assist Technology; which includes Adaptive Cruise Control, Lane Keep Assist, and Sway Warning, Pre-Collision Braking, and Pre-Collision Throttle Management. In addition to EyeSight the Forester is available with High Beam Assist, Blind-Spot Detection / Rear Cross-Traffic Alert, Reverse Automatic Braking, LED Steering Responsive Headlights, and Subaru STARLINK Safety & Security. 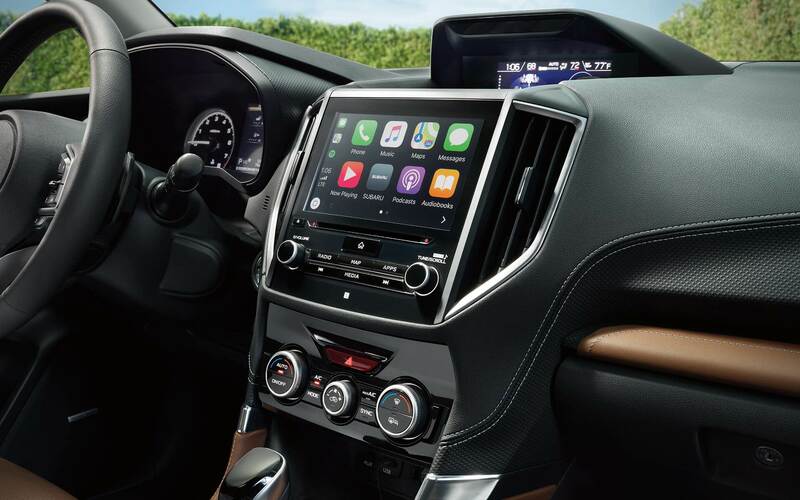 The 2019 Subaru Forester also arrives with the only distracted driver mitigation system in its class. Subaru DriverFocus monitors the driver and will alert them to bring their attention back to the road if they are distracted or drowsy. As if the impressive list of standard and available safety features wasn't enough, the Subaru Forester is also consecutively named as a top IIHS safety pick. As well as receiving the highest possible crash test ratings available. No matter how long the drive may be you and your passengers want to be comfortable; especially those sitting in the back. 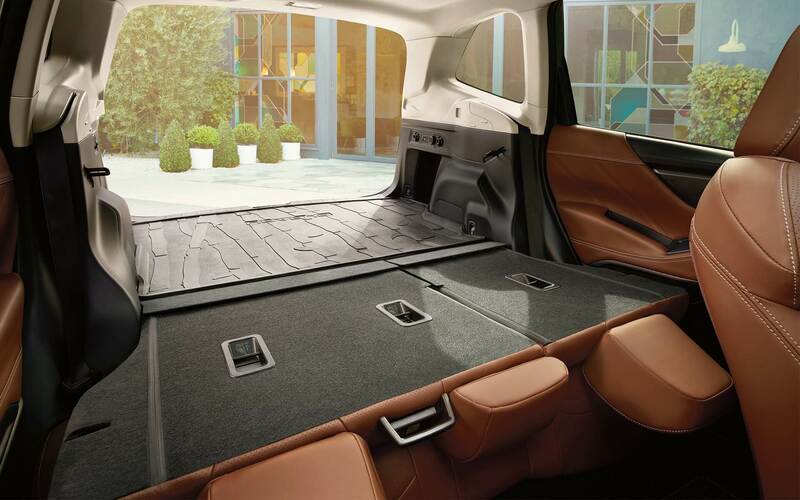 Thankfully, the 2019 Subaru Forester offers more spacious seating for five than the Honda CR-V.
All too often the cool new features advertised on TV aren't available on every trim level. Not only does the Subaru Forester have more standard features than the CR-V, but it also has more available features. 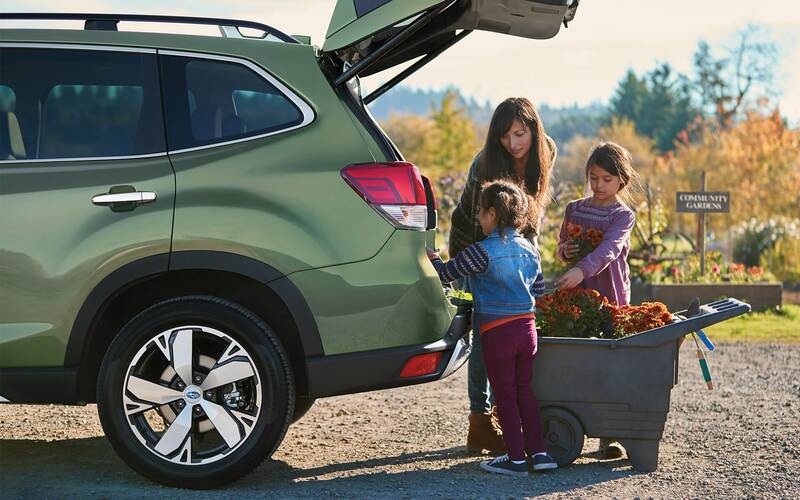 Like every Forester model Premium and up is equipped with 4G LTE Wi-Fi connectivity. Which isn't even offered on the Honda CR-V. The Forester also offers a larger panoramic power moonroof than the CR-V. Another standard feature that only the Subaru Forester offers is Apple CarPlay & Android Auto with a 6.5-inch touchscreen, STARLINK multimedia system. 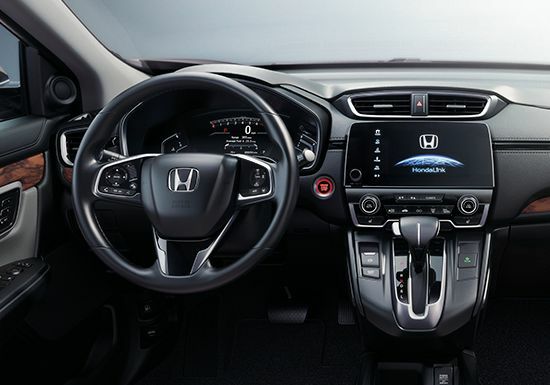 To get a touchscreen multimedia system you will need to buy a more expensive trim level. No two drivers are the same and having options is often a good thing. 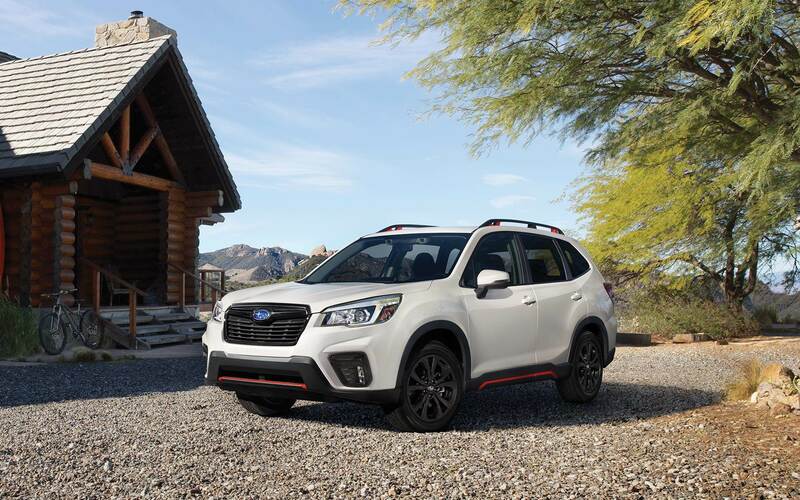 The 2019 Forester arrives with five well-equipped trim levels to choose from; one of which is a Sport model. The Honda CR-V doesn't offer a sport model with its four trim levels available. At the end of the day everyone has a budget they would like to stick to as well as getting the most for their hard earned dollar. There is no question that the 2019 Subaru Forester is a better buy than the Honda CR-V. Both vehicles have similar starting MSRP's, but the Forester has significantly more standard features that will cost a lot more on the Honda CR-V. The Subaru Forester is also consistently named as one of the longest lasting vehicles in its class. In fact, 98% of Subaru Foresters sold in the last 10 years are still on the road today. Another reason why the Forester is a better buy is that it holds onto its value better than any other vehicle in its class.